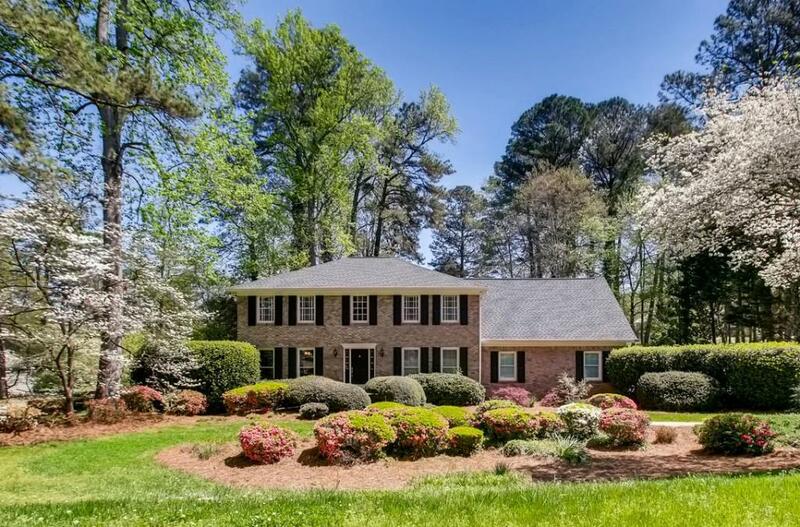 This updated and immaculate home is located on the golf course in Willow Springs (Country Club of Roswell)!. Private and lushly landscaped back yard w/pebble tec pool is perfect for entertaining! Kitchen renovation 2017 including all new appliances, oversized master suite upstairs w/ priv balcony, 2nd master suite up w/ renov. Bath, plus 2 other spacious bedrooms and another full bath! Large & vltd sunroom with walls of windows has b'ful views of the pool, yard & golf course. New carpet upstairs, roof just 4 years old. Great golf neighborhood w/ easy access to 400! Directions: 400 North, Exit Mansell And Turn Right. Right Onto Old Alabama Connector To Dead End, Left Onto Old Alabama Rd., First Left Into Willow Springs Subdv (Country Club Of Roswell). House Will Be Down On The Right.